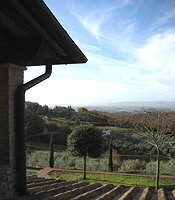 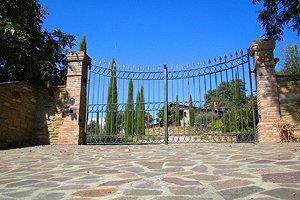 The villa stands 500 above sea level just a few kilometres from Subbiano (Arezzo), in Casentino. 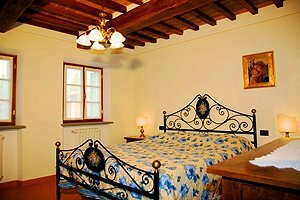 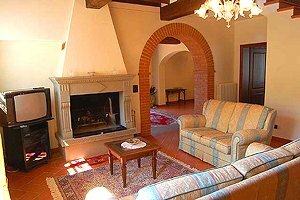 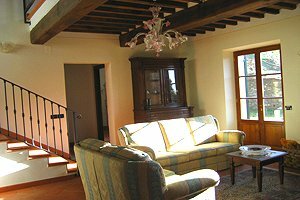 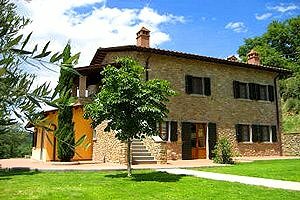 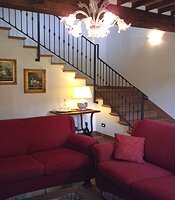 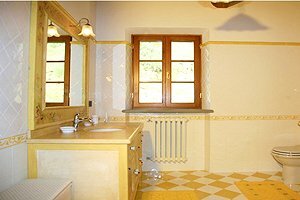 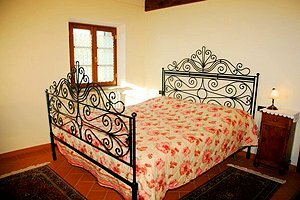 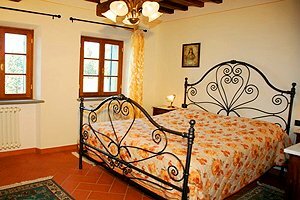 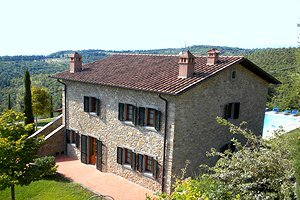 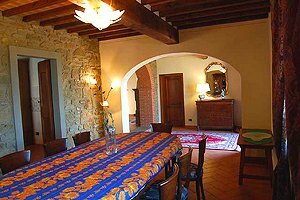 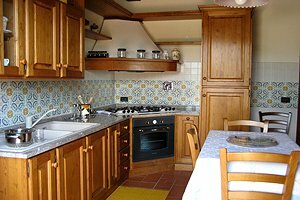 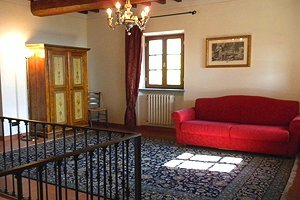 The villa is an excellent accommodation for art lovers, who can visit the sanctuary of La Verna (where Saint Francis of Assisi received his stigmata), Cortona, Arezzo, Montalcino, Siena, Florence and other important cities in Tuscany and in central Italy. 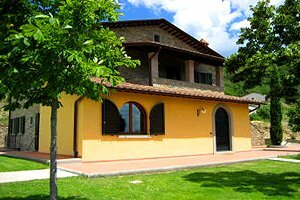 The windows of the villa and the garden that surrounds the building have a stunning view of Casentino hills, covered with olive groves and luxuriant woods. 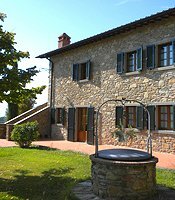 The garden is furnished for guests to have meals al fresco and provided with a night lighting system. 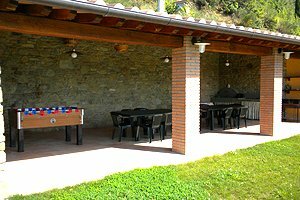 In the garden are also the barbecue equipment and a table-football table. 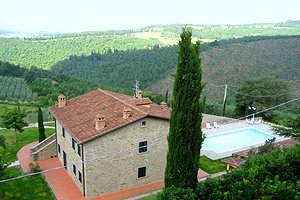 The swimming pool (12.20x5.40 m; depth: 0.70-1.80 m) is exclusively reserved to guests and equipped with a bathroom and an external shower. 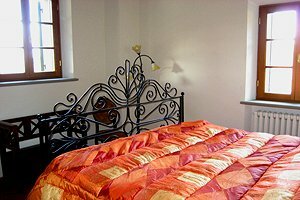 The three-storey building sleeps 12 people in 4 double bedrooms, 1 single bedroom, 1 double sofa bed and 1 supplementary single bed, and has 4 bathrooms. 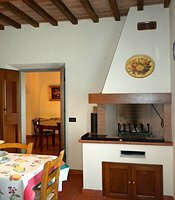 The ground floor composes of entry hall, fully equipped kitchen with adjacent kitchenette and fireplace, dining room, living room with fireplace, storeroom, a double bedroom, a single bedroom and a bathroom with shower. 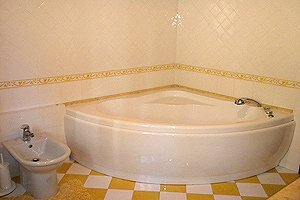 On the first floor are a room with a double sofa bed and access to the balcony, three double bedrooms (one with ensuite bathroom) and a bathroom with bathtub. 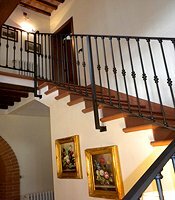 Under stairs are a room that can be used as a children`s playroom, a large room for lunches and dinners (open only upon request and upon payment of an additional charge) and a bathroom. 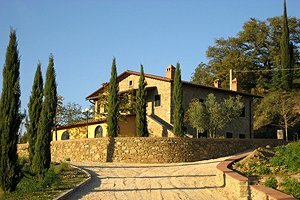 The villa comes with swimming pool, table-football table, swimming-pool toys for children, working fireplace, stereo system, Internet connection, satellite TV, DVD player, fridge, oven, microwave oven, espresso coffee maker, dishwasher, washing machine, hairdryer, cot beds and private car parking place. 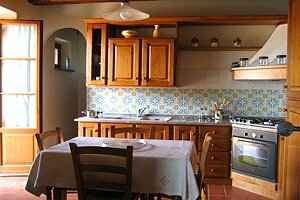 A baby-sitter, a cook and a maid service are supplied upon request. 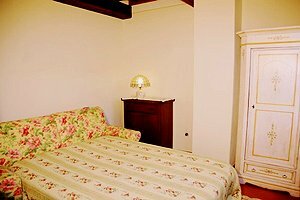 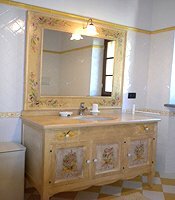 Shops and services of any kind are in Chiassa Superiore, 1 kilometre from the villa. 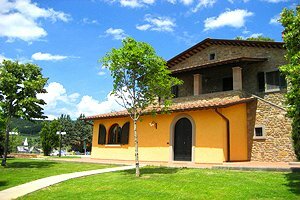 A tennis club and a riding stable are within 5 kilometres.